We went to see Leo before driving back home after staying at my mums this week leading up to his funeral. We needed to just see how his grave was after the funeral. Create a safe image in our heads of where he was. We had been to the baby section a couple of times and noticed the other graves – his new friends. And I’d made a point of learning the names of the four others in his row, and those around him. I must make a mental note of their dates too. 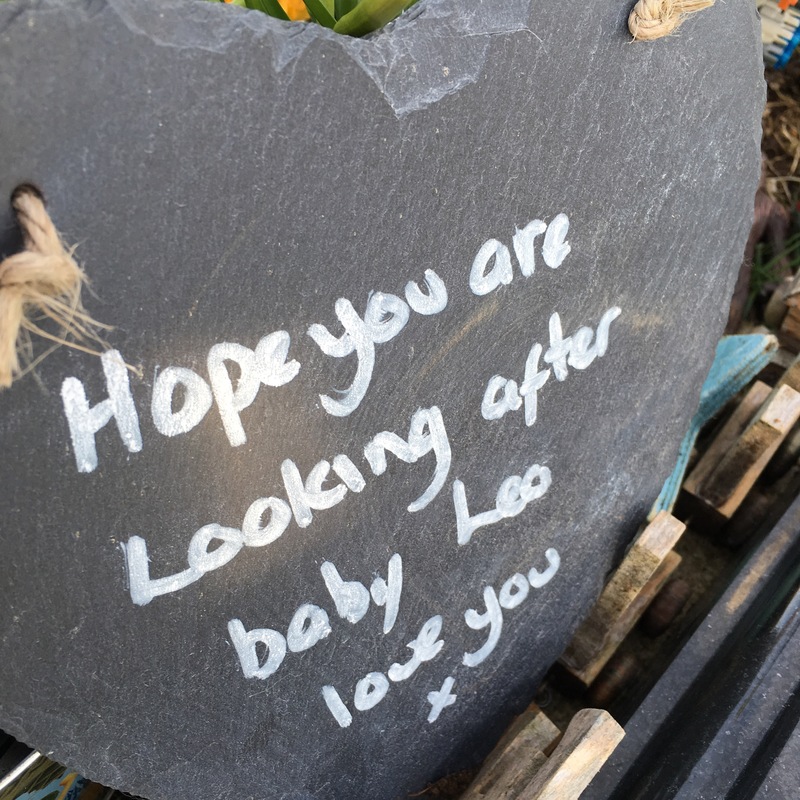 I spotted this on one of those close by – a message to their baby. The compassion of this special little club that we are now in, moves me every time someone does something – be it this, a message or comment. Thank you – whoever you are – for looking out for our baby boy. I feel safe having him there, with his new friends and their amazing families.